A couple of weeks ago, as the first in a series of pieces emerging from our recent report ‘The Inflection Point’, we described How to Build an INSIGHT Hub – in our view, a basic requirement for any local authority really taking behaviour change and demand management seriously. In this follow-up article, we briefly examine the skills and leadership required to make such a function work to deliver real added value. We are not starry-eyed about the challenge. We have seen first-hand a number of failed investments made by authorities in central functions such as policy, marketing & communications and customer insight. From enthusiastic starts, these functions have all too often lost touch with front line services; struggle to find relevance; and have often failed to demonstrate a financial return from the databases, skills and systems they have invested in. In an austerity-driven world they have become a luxury some authorities can no longer afford. 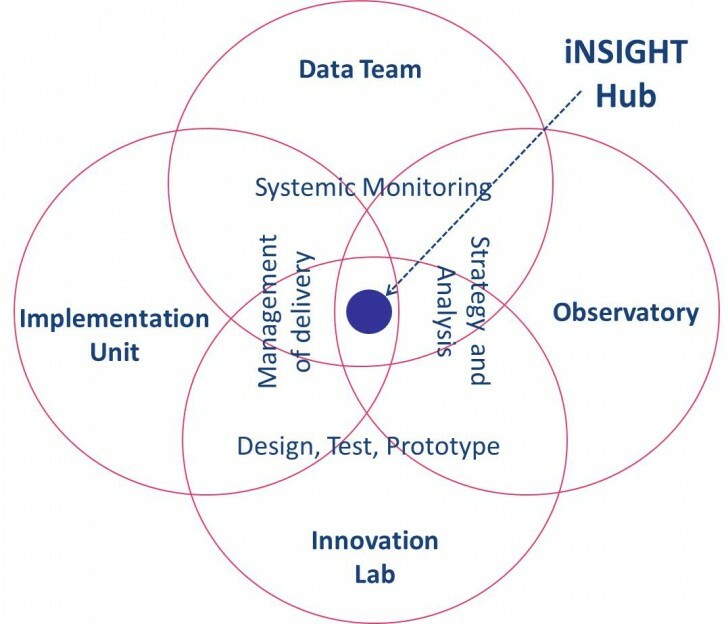 How can these new insight hubs succeed where their predecessors have failed? Here are some top tips, curated from our experience of different authorities. They are your clients, and the success of your function depends entirely on your ability to understand your client’s business, help them to make savings, and achieve their transformational goals. They in turn need to trust you, understand what you can offer, and turn to you when they need help. The skills and capacity are also critical because the idea of being a ‘support function’ can often generate negative connotations around status, this is a false reality. Your people need to be confident and capable enough to understand their own professional value without allowing such anxieties to affect the execution of their roles effectively. Only develop your offer to your clients once you’ve really understood what they need. This will take an investment of time – to listen – and skill – to understand and interpret. Doing this well will provide the basis for strong and lasting relationships. Giving your clients some new, different and surprising insight about their customers will be crucial. Staying ahead of the game on well-regarded models for doing this will be important (such as behavioural science), so you may need to find budget to invest in training in behavioural and other relevant models. These will provide a useful framework within which you can add value. However – these frameworks are nothing like as important as actually spending time at the front line, really seeing what is happening there between clients and services. Your team will need skills relevant to this activity, and this may include research methods such as ethnographic research, surveys, data and digital analytics, and a good dose of old-fashioned observing and listening. It is tempting to ‘go digital’ and get excited about big data. We suggest this should be an important but small part of your activity. The largest part of your effort needs to be focused on human beings, and their behaviours. This is where all the cost (and potential benefit) comes from in services. This doesn’t mean you can avoid being rigorous. It does make it slightly harder, but you will need, nevertheless, to measure actual data – counting what people do as opposed to what they say about something is key to this. This means finding the right things to measure. Sometimes this will be obvious, but for the truly complex issues then this is where tips 1 and 2 come into their own. For many of the most contextualised and knotty areas of change or improvement you will be identifying the lead indicators using your own analysis and insight generation. This means the leader of such an insight function needs to be a master of the craft. If you don’t have this then you’ll need to acquire it. Opinion shifting insight should be linked with project level activity – otherwise it risks becoming shelfware. This is critical for two reasons. Firstly, embedding the understanding that your work is directly associated with ‘change’ will create the right expectations from front line service staff. Secondly, a large part of the external judgement on your success as a function will be your ability to drive change in communities and services. Focus on building confidence in the services to use the data and insight you generate – for example, with the deployment of trials and tests.